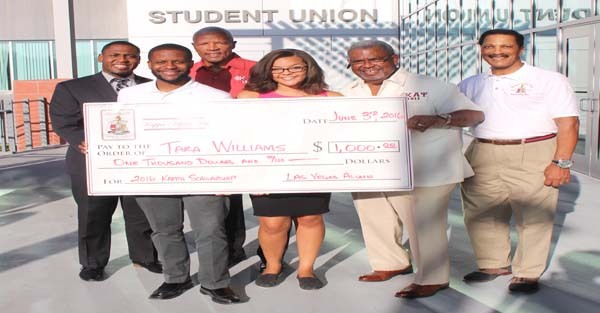 Las Vegas Alumni Chapter - Kappa Alpha Psi Fraternity, Inc.
Las Vegas Chapter of Kappa Alpha Psi Fraternity, Inc. 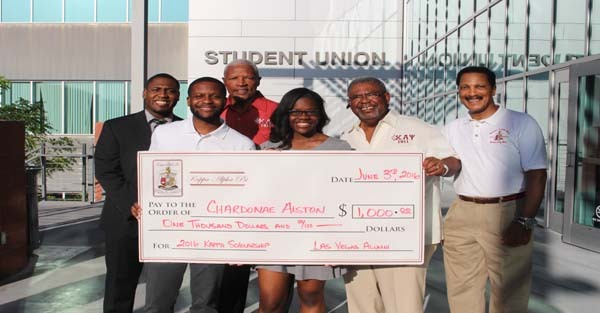 Welcome to the website of the Las Vegas Alumni Chapter of Kappa Alpha Psi, Fraternity, Inc! The Las Vegas Alumni Chapter has been serving the Las Vegas community since September of 1964. We have established a rich tradition of service to our youth and community. We welcome new brothers and inactive brothers to renew your interest and "Come Home to Kappa". We invite you to learn more about our programs and hope that you will be inspired to join us in service! This year the Las Vegas Alumni Chapter along with UNLV's undergraduate (Theta Sigma) Chapter hosted our 6th Annual "Shop with a KAPPA" event in an effort to provide disadvantage youth in the community with Christmas presents during the holiday season. The chapter(s) raised over $10,000, which allowed 100 children to receive a $100 gift card to shop at their local Walmart store. The organizations and schools that participated this year were the Rainbow Dreams Academy, Aggassi Prep. Academy, Boys Town and the Southern Nevada Regional Housing Authority and the Ronald McDonald House. 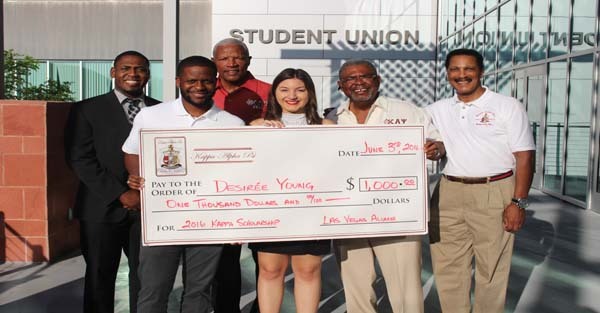 The Shop with a KAPPA takes place throughout the Western Province of Kappa Alpha Psi. 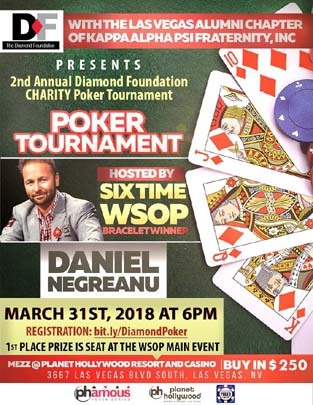 The event was held in several other cities such as: Anchorage/Fairbanks, Seattle, Tacoma, Portland, Salt Lake City, Ogden, Las Vegas, Phoenix, Los Angeles, San Jose/Palo Alto to name a few. This years contributions exceeded $25,000 and since we began the program we have taken in over $105,300 in donations. Please visit www.shopwithakappa.com to view pictures. Our condolences go out to the Blue family on the passing of our dear Las Vegas Alumni Brother Richard Blue. Kongratulations to the Undergraduates initiated into the Bond of Theta Sigma Chapter at UNLV. Kongrats goes to: Brother Penn on being "Brother of the Year 2016". Kongrats goes to: Brother Brown for receiving the Polemarch's Award for 2016".